To come and visit our fields is not just a relaxing moment to spend a day immersed in nature but it could become an educational visit. At StraBerry you can learn about the growing cycle of wildberries, from the preparation of the soil to the handpicking of the berries. You will have the chance to learn how crucial it is to respect nature’s rhythm and the importance of eating fresh local food. You will also discover our innovative growing technique of the “flying” strawberries, and the importance of using renewable energies such as the one produced by our solar panels. 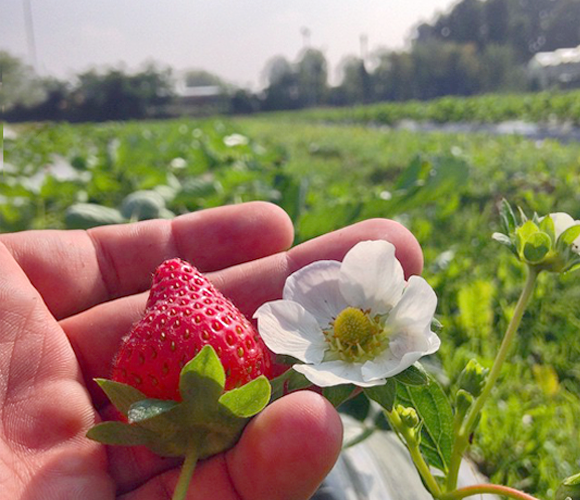 You will be able to actively take part in the growing and handpicking process, and to smell the fragrance and to taste the unmistakable flavour of our berries. You can’t be mistaken, our bus is colorful and full of the wee Straberry fruits! In few minutes the StraBerry bus will take you to our fields to begin your visit!